As usual, the summary last week saw a lot of interest from you so hopefully again there is plenty in here to catch your interest. 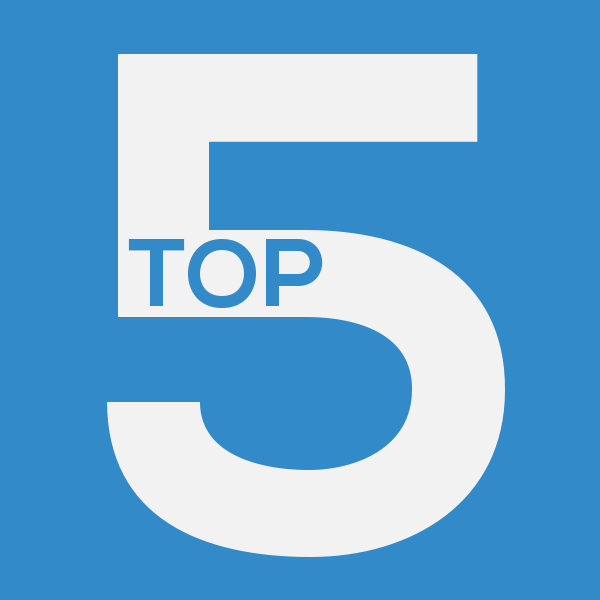 Also, in related news, I have added a separate Top 5 section in my page which includes Every(ish) Post on this site. So, if you want to look at past ones, have a trot over to that page. Anyway, here goes my list for 16 May. Enjoy! NOTE: The "On Here" list is purely quantitative. It is the posts with the most unique reads that week (not including other Top 5 lists).When marked "New" it means they were not on last week's list not necessarily that were published this week. As is invariably the case, the two new articles on the Dividend Drive take prominent spots. This week is unusual though in that they are both related to new additions to my portfolio. One is a direct buy and the other an arrival after an acquisition. Both are interesting additions for different reasons though! Outside of these new posts my April dividend income and trading update was popular again as was my little post on the fee-free broker, RobinHood, and its international expansion. New: BUY: AstraZeneca--Healthy Future in Healthcare? Loved By the Good? Fee-free Broker RobinHood Looking to Expand Internationally--Anyone Used Them? This month something a little bit special. A joint 5th place! This again is a wonderful mix of fascinating articles. From asking how much are your possessions worth to you and what would you replace if they were are lost or destroyed to a new free Open University course on investments which started this week. Hopefully you enjoy reading them as much as I did. New free OU course on Managing My Investments (Simple Living in Suffolk)--Quietly Saving highlighted this some time back. I have not yet got to look at the course material properly yet. But it looks good. Can You Afford Not To Save? (Early Retirement Guy)--A quite striking tale of a forum post which used a simple picture to tell a complex but important story and ERTs musings on it. Of savings rates, metrics and goals (Simple Living in Suffolk)--Do you set strict goals and strictly quantify your portfolio. Here's the view from the other side of the divide. Will Low Investment Returns Wreck Retirement? (Think Advisor)--Contributed by dearieme via Cerridwen. Quitting My Full-Time Job: One Year Later (Dividend Mantra)--Inspiring (as usual) run down from DM on his progress and activities since quitting his job. Win for Life (No More Waffles)--Have you won the lottery? No? Oh well, you can still effectively do so with a little patience and hard work. A Logical Investment Strategy (DIY Investor UK)--A run down of DIY Investor UKs general investment strategy. A good read. The FTSE 100 at 5,000 or 10,000: Which is more likely in the next 5 years? (UK Value Investor)--A really thorough breakdown on the question--so cogently put in the title. Well worth a read and share your views and thoughts! Thanks to M from There's Value for highlighting this for me. How much are your possessions worth? (Under the Money Tree)--Would you replace all the stuff you have in your house if it was lost or damaged? No? Should you be insuring it then? What credit score do you need to buy a house? (First Quarter Finance)--Particularly interesting is whether anyone knows any similar "rule of thumb" for UK residents. Thanks for the shout out - great list, a few goodies there that I'd missed. My pleasure, weenie. Glad there were some things you missed! It's been good so far. A bit of gardening, a bit of reading, a beer or two and very little work! May get round to starting the OU course! Hey D², thanks for the mention. One article I enjoyed this week was on the UK Value Investor site, where John speculated about whether the FTSE would be more likely to be at 10k or 5k by the year 2020. I like articles like this because they show a person's thought processes and attitudes towards the wider economy. Yes, I liked that one one as well! I am not quite sure why it was not included as it was posted (and I commented on it) before I had locked-down the list. I will add it now! It is interesting to read that. There was a similar article on the Motley Fool on Friday too on the "Great Crash of 2015." Not as good/interesting as John's, however. I would like to second your recommendation for the OU course. I worked my way through Week 1 and found it very worthwhile - so long as you can drag yourself away from the extensive comments which are addictive reading (I know, sad or what). Also, dearieme recommended another useful article on my post this week. Yes, I can't wait to sink my teeth into the course. Glad you have enjoyed it so far. I will try not to get too addicted to the comments! Thanks for article. It is rather interesting. I will add it to the list!